The mention of Ribera conjures thoughts of Vega Sicilia, Pingus, Pesquera, Abadia Retuera, Hacienda Monasterio, and Bodegas Alión to Spanish wine fans. Not bad for a region, that thirty years ago, was a infant that now challenges Rioja for Spain’s greatest region. Conceived in 1982 with a handful of winemakers, Ribera now has in excess of 18.000 ha of vines, and over two hundred recognised wineries. What makes Ribera unique? A combination of three factors; terroir – similar to the Douro with complex mixes of limestone, marl and chalk, a dramatic microclimate with a short and hot growing season along with diurnal temperature variations from 10 to 35 degrees, and a focus on a single grape - Tempranillo known locally as Tinto Fino or Tinto del Pais. 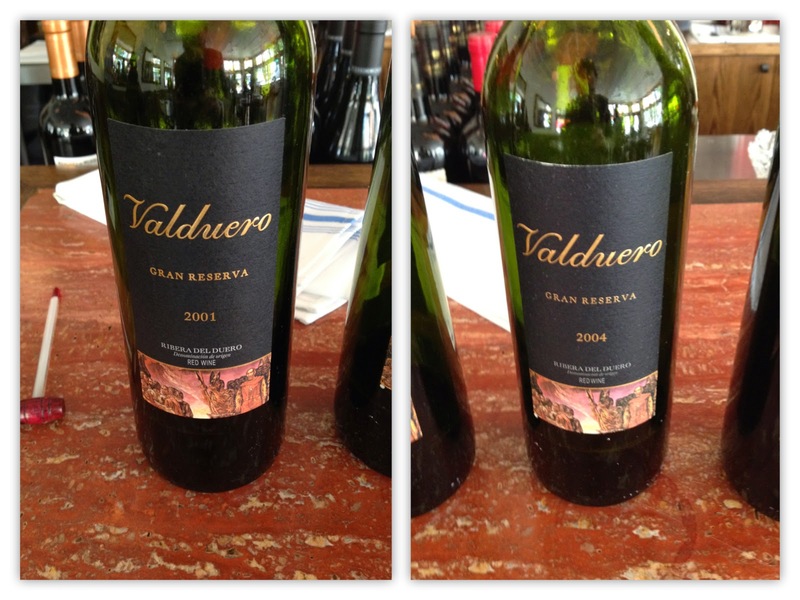 Bodegas Valduero, founded in 1984, is the child of Gregorio Garcia and his winemaking daughter Yolanda. The property consists of two hundred hectares surrounding the village of Gumiel de Mercado. Wines and lunch at Cinara with wine service by Sommelier Terry Threlfall who did a great job with serving all the wines at the perfect temperature. This rare white varietal is only allowed to be grown at Valduero and Vega Sicilia. Just 2% of all planting are Albillio. Average vine age is twelve years. A blend of 60% Tempranillo (35 to 40 year old vines) and 40% Albillo using the saignee method. Paired with spring salmon, sunflower seeds, rye berries, herbs, and citrus vinaigrette - Albillo was the best match. Paired with duck terrine, balsamic roasted radicchio, pine nuts and lentils - 2010 vintage the best match. Selected vineyard sites with vines between 15 and 25 years old. 30 months of oak ageing and 18 months of bottle ageing. Ruby red with cedar, strawberry leaf, and tobacco aromas. Full-bodied and complex with Asian spice, cedar, cherry, briar, and tea notes. Paired with lamb shoulder, dried olives, potatoes, and red peppers - best match Reserva 2007. 100% Tempranillo from 50 to 75 year old vines. 48 months of oak ageing ( 6 species) and 40 months bottle ageing. 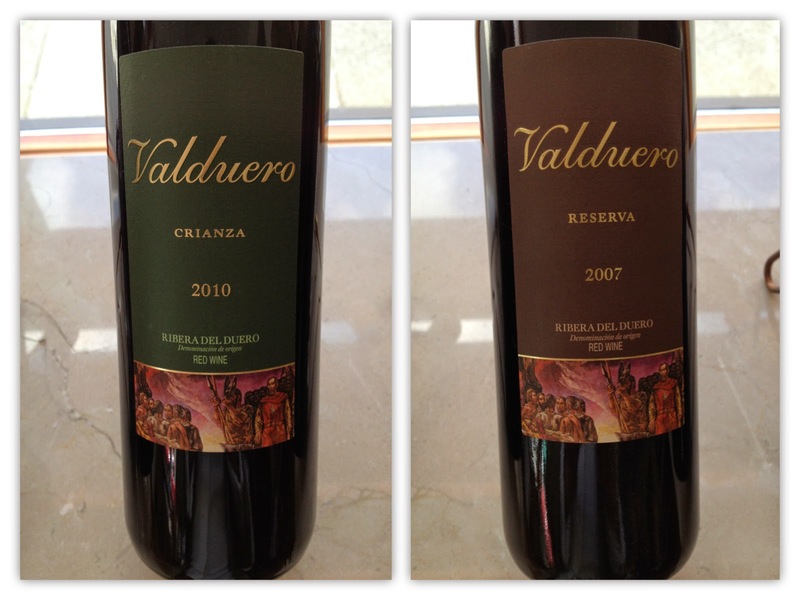 Valduero wines are worth seeking out. They offer complexity and good value compared to many Ribera del Duero wines currently available in the BC market.